What Do Homeowners Need To Know About Water Damage? The very first thing that you need to know is that you are not alone. Professional Restoration Systems has crews standing by to help you with your every need during this extremely stressful time. We are just a quick phone call away at (203) 881-9511. 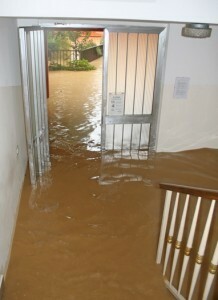 When a water damage loss happens it is important first to find the source of the water and stop it. Next, make sure that the power is turned off if there is standing water on the floor. Once that is done you want to call Professional Restoration Systems at (203) 881-9511, one of our representatives will immediately schedule a crew to come out to your location. If you are in New Haven or Fairfield County we will be there within 90 minutes of your call! Now that you have your Restoration Professional en route there are a few key things that you can do to reduce further damage from occurring. Lift draperies off carpet and place wood blocks or aluminum foil under furniture legs. Move all photos, paintings and other art objects to a dry area. Start taking your “Home Inventory” – click on this link My Home Inventory and you can print out a copy of our Home Inventory Worksheet. This sheet is designed to help you document the contents of your home in the water damaged areas. Having your inventory completed will help to move your insurance claim along easier, in the event that your agent or adjuster needs this information. Ok, now that you have all of that done you should contact your insurance agent or adjuster to inform them of the loss and to let them know that you have already hired a professional drying firm, Professional Restoration Systems to take care of the water loss and structural drying needs. We will work directly with your insurance company and take care of all of the paperwork necessary to move your claim along swiftly. What Can You Expect When Professional Restoration Systems Arrives? The very first thing that you should expect is that you will have a clean-cut and uniformed Restoration Specialist coming to your door. He/she will walk you through the damaged areas and let you know our first stage of attack. Our Restoration Specialist will then begin the water remediation process, to remove water. Water extraction is a crucial part of the pre-drying process, the more water that is removed in the beginning the faster we will be able to get your home dry again. Once the water has been extracted we will then setup drying equipment to evaporate the remaining moisture in your floors, walls and ceilings. We will monitor the drying equipment to ensure that it is operating at it fullest potential. You can also expect during the initial stages of work that we will have a packet of information that we will need to go over with you, the homeowner. There will be various forms that we will need to complete together and informational materials that we will provide you with so you have a full understanding of what is going on with the drying process. Throughout your drying process we will be documenting your home and the damage caused by the water loss. It is very important to thoroughly document your entire home so our Restoration Specialist may ask to see areas of your home that were not directly affected by the water loss to ensure that secondary damage has not occurred. This is completely for your protection. We want to make sure that when we leave your home is totally dry. And when we are done with the work you will get a full copy of the report for your records. Expect to be thoroughly satisfied at the conclusion of your loss. If at anytime during the process you are finding that you are not completely satisfied or you have some burning questions please do not ever hesitate to contact one of our owners. Amy Bloxam-Prihoda can be reached directly at (203) 410-1294 and Curtis Bloxam can be reached directly at (203) 410-5444.